As Executive Director of SCIL I oversee the day to day operations at the center. I am responsible for grant writing and for fundraising. I am also responsible for developing and implementing new programs. I supervise the Dr. Lee Nattress San Gabriel Valley Disabilities Collaborative, and I am Vice Chair of the California Federation of Independent Living Centers and sit on their Public Policy Committee. It is a pleasure and a privilege to work here and serve our consumers. As Finance Officer, I am involved with every aspect of the agency’s fiscal responsibilities. I create budgets, track grant spending, facilitate payroll, and assist employees with human resources. I prepare reports, keep records, and compile all the necessary information for the annual audit. I enjoy my work and feel blessed to be a part SCIL’s mission to enable persons with disabilities to live independently in the community. Hello! As Program Manager at SCIL, I am responsible for leading my team to success and sustained growth. I work individually and as a team with my staff to establish goals, address concerns, allow for ideas, suggestions and feedback, overcome obstacles and create a safe, healthy, open and sustainable work environment. I also oversee the organizations AT department, basic IT functions, and overall operations. I work with the AT department as well in helping consumers obtain the assistive technology devices they need to live independent lives. I also perform the duties of an ILS which consist of peer support, information and referral, and independent living skills training. I am pleased to also manage the event planning, website, speakers and email lists for the San Gabriel Valley Disabilities Collaborative. Managing, creating and maintaining the websites and social media is another facet of my job, as well as grant writing and group hosting. I am extremely happy that I have been given the privilege to work for SCIL and to assist those in the disabled community. My name is Patrick Tran and I am a person with a disability. I became disabled at a young age that due to Steven Johnson syndrome. I am legally blind. I graduated with a BA degree in Market Management and a Minor in accounting at Baker College, Michigan. I am currently employed for Service Center for Independent Life as an Assistive Technology Coordinator at Claremont. I have been with the center since June of 2013. I utilize assistive technology such as PEARL, a screen reader, and a hand video magnifier to perform my daily work tasks. My responsibility at SCIL is to advocate for persons with disabilities and guide them in obtaining the assistive technology that they need in order for them to maintain self-sufficiency and live more independently at their home. I also promote disability awareness to the underserved population within the community. I always try to empower consumers to utilize the re-use program through the lending library to try things out before purchasing the equipment, as well as to access the ability tools website to check out monthly events and free webinar trainings and other valuable info for assistive technology. Hello I am Janice Ornelas, SCILs Independent Living Specialist / Transition & Diversion Specialist. I have been with SCIL for a very long time and it’s been my pleasure to serve and help those in need. I love what I do to help others and the disability community. I strive to help and encourage our consumers by helping them accomplish their goals in life. Providing them with the right resources and tools, I&R, Advocacy, Independent living skills and one-on-one cross disability peer counseling. I also do transitional services. Independent living centers have a federal mandate by the government to provide services that help you transfer from skilled nursing facilities back into the community and keep you in your home with diversion assistance. I will assist the consumer in determining their eligibility, finding financial assistance and creating a plan for independence. The Diversion project is a service of SCIL to empower all persons with any disability in their quest for greater personal independence. I work to provide my consumers the most support and all the help I possibly can. I am an Independent Living Specialist and a Systems Change Advocate. As an ILS I provide a variety of services including advocacy and information and referral. I have a background in alcohol and drug rehabilitation and working with probation and parole. I help persons with disabilities learn how to get their needs met. As a Systems Change Advocate my focus is on community organizing and creating change for persons with disabilities by empowering them to use their voice to help themselves and others. I am an Independent Living Specialist, as well as one of the facilitators for our Living Well with a Disability Program. I provide services to our disabled and senior citizen communities in both English and Spanish. 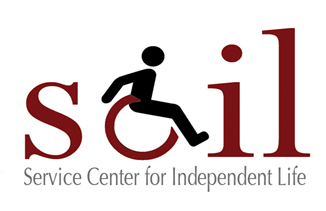 Our mission here at SCIL is to assist our consumers in learning how to fulfill their goals and achieve a more independent life living as a person with a disability. We do so by providing advocacy and peer support, as well as information and referral to services and low-income resources. I try to provide my consumers with the most accurate affordable housing listing information by frequently updating this information. I am currently working with other facilitators here at SCIL on getting our LWWD Program up and running to teach people with disabilities how to lead better lifestyles through healthy eating, goal setting, and preparing consumers on transitioning out into the community upon release from hospitals into a more independent setting. It is a great pleasure to be able to assist consumers with as much help and support as possible and be allowed to be a part of their success. I look forward to continuing to do so and learning more along the way as well! As a long time user of assistive technology for the blind, I welcome opportunities to educate others about how to make the most of what is available. At SCIL, I instruct and assist consumers in performing tasks such as using screen readers and print reading systems for the visually impaired. I also provide technical instruction and assistance to transcription staff as part of our Talking Fingers service. I perform research and work with translation software to insure that documents conform to appropriate standards and specifications. Working with a diverse community has become my passion. Being the Community Organizer gives me the ability to help others and, learn about the issues that effect the community, I believe intersectionality is an important part of the work we do at SCIL. My goal is to bring together others experiencing common issues, in order to achieve change and growth in society. I plan to grow our advocacy group as well as continue to spread awareness and educate others on issues that effect people with disabilities. I am a Systems Change Advocate that have a passion to help the disabled become independent and to assist them to become free to live the life they want. As a person with a disability, a background in Human Service, Assistive Technology and Communication. I am also a member/secretary of the National Federation of the Blind Inland Empire Chapter. Advocacy makes change. Hello! My name is Asia Roberson I am the Office Assistant here at Service Center for Independent Life. I take very great interest and passion in my work here at SCIL; as I am a Sociology major with an emphasis in Social Work. Working with consumers and, helping potential consumers with any questions and resources is what I am here for. My goal is to get to know all the consumers and, provide them with any resources that will be beneficial to their lives. I also want to help the community as a whole in bringing awareness! My name is Armand Bujanda. I am a former volunteer at SCIL and I am now an IL Trainee. I am a recent graduate of Cal Poly Pomona with a B.A. in Non-profit management. I am currently developing a Latinos with Disabilities support group that will have sessions in English and Spanish focusing on peer counseling. I have a black belt in taekwondo and teach it as part of the fitness class. I also have experience in systems change advocacy. My goal is to understand our consumers needs and goals are to live an independent life. My name is Daniella Rodriguez and I’m currently an ILS here at SCIL. Being a person with a disability since birth, and even sometimes struggling with the difficulties it comes with, I find this job rewarding to be working with and helping people that have disabilities every day. I’m currently working on Housing, Latinos With Disabilities support group, and I also work with social media to help our beneficial company get the exposure we need so we can help as many people as possible. It’s my pleasure to offer services to people in need and help them as much as possible with resources, peer support, along with goal development and goal accomplishment. I have many goals to accomplish here at SCIL and I look forward to learning more and growing in this company and helping as many people in our community as possible.